Australia’s independent review of the work health and safety laws is handicapped by performance criteria not being included in the original harmonisation process. This lack of forethought is not unique and many infrastructure projects, in particular, fail to include research opportunities and priorities in the design of the project. 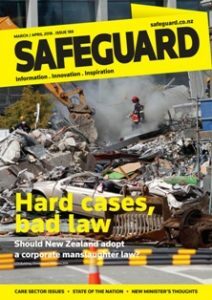 These omissions provide more significance to surveys of occupational health and safety (OHS) perceptions such as the report that was released (not yet available online) this week by Safeguard magazine in New Zealand and will feature in the magazine’s next edition.